Infinity on a GameBoy Advanced SP using an EZ-FLASH IV flash cart. 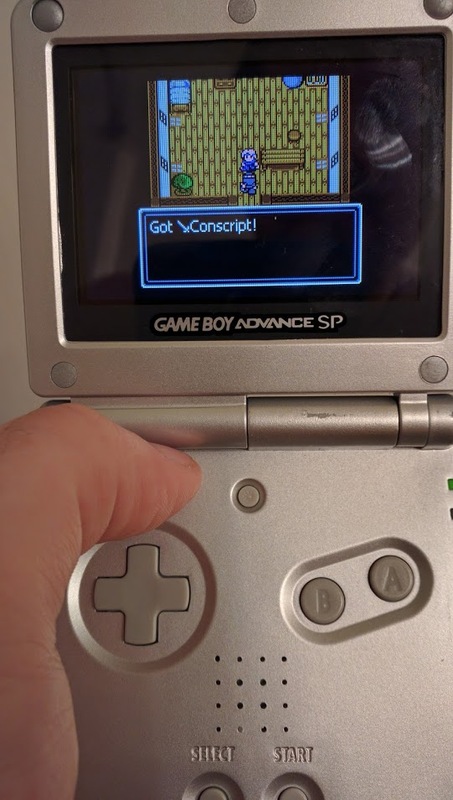 I’ve been anxiously awaiting to play Infinity on my Gameboy Advanced SP to test out how it reacts with the EZ-Flash IV and how it performs. Well, the start sequence ran great, and the music sound terrific! Why didn’t this game come out BACK in the day!! I would’ve put so many hours into this great game. Here is a video of the opening. As you can see my character cannot be seen, the battle menu is gone and monsters are just whipping up on me. This is the first release, I haven’t tried on an actual computer with an emulator or anything yet… as I was really, really, wanting this to work. Anyways I’ll give it another go whenever the latest version comes out but I Emailed support, I did tell them all the hardware and things I was using so it’s most likely my end which stinks. So come to find out it really was the Gameboy advanced. Goomba the Gameboy Color Emulator for the Gameboy advance does not support a certain element that the game uses for combat and other things. I did, however, get to try it out on my NDS with a flash cart using the GBC emulator on it and it worked flawlessly so at least I can enjoy it on the road! 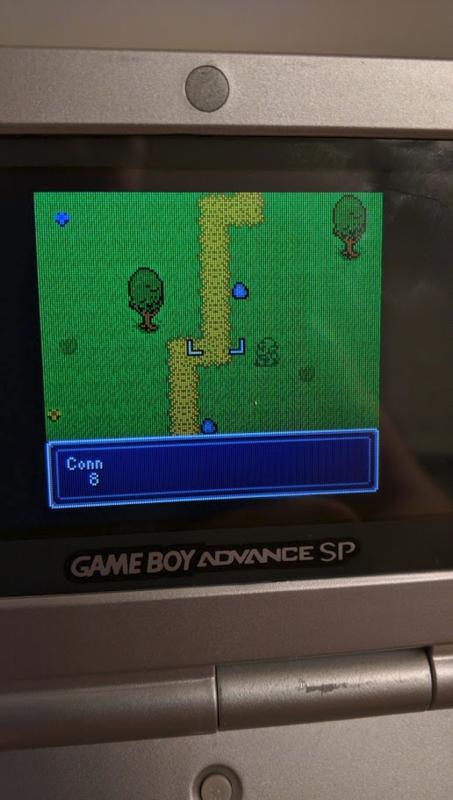 Infinity is a great RPG and a great addition to the GBC library, I only wish it had come out back in the day I would’ve enjoyed it way more than I do. So many games!! !